The River Swale is reputedly the fastest flowing river in England, though I have not found it to be any different to the other Yorkshire Dales rivers when fly fishing. It is also said that it is one of the fastest rising rivers in England and this I can believe having seen it rise at a frightening speed. The name Swale comes from the Anglo-Saxon word Sualuae meaning rapid and liable to deluge. The River Swale rises in the far north west of the Yorkshire Dales National Pak, above the hamlet of Keld. It is the joining of Birkdale Beck and Great Sleddale Beck that forms the River Swale on its course to join with the River Ure, and eventually the River Ouse to the south east. The Swale appears more rocky than the other rivers in the Yorkshire Dales, which is usually a characteristic of brown trout habitat, but there are grayling in the River Swale in substantial numbers. I would say that it is currently the best grayling river in the Yorkshire Dales. The better grayling fly fishing is from around the town of Richmond downstream to the Catterick area. Good fly fishing for trout can be had from Catterick upstream to the headwaters. I prefer the fly fishing in and around Richmond, where there is good access to the river. I have fished the River Swale regularly from Richmond to Catterick and I was once fortunate to catch a 4½lb barbel on a Czech Nymph. Totally by accident I must admit; I actually thought that my flies were snagged on the bottom for some time, before it awoke! 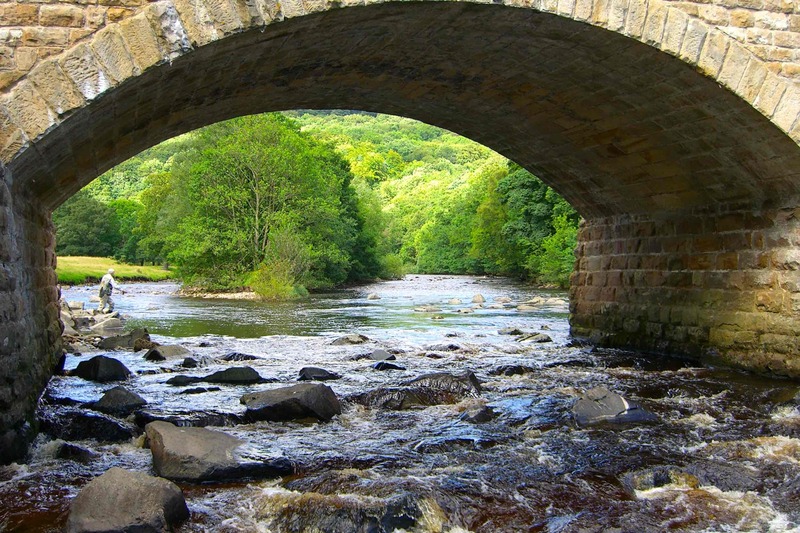 The River Swale is similar in size to the River Ure or River Wharfe in this area and is suitable for most methods of fly fishing. I have had most success when fishing dry flies and Czech Nymphs, depending on the conditions. Day tickets on the upper reaches of the River Swale aren't very easy to come by, but they are freely and cheaply available for the river around Richmond from Richmond Angling Club.